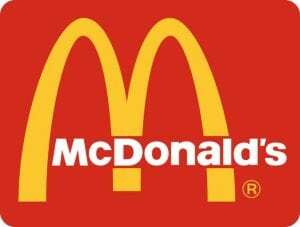 SINGAPORE: McDonald’s Corp said on Friday (Dec 2) it had sold the franchise rights for its restaurants in Singapore and Malaysia to Saudi Arabia’s Lionhorn Pte Ltd as part of a plan to move away from direct ownership in Asia. The fast-food chain said it transferred its ownership interest in 390 restaurants, more than 80 per cent of which were company-owned, on Dec. 1 to Lionhorn. Lionhorn is led by Sheik Fahd and Abdulrahman Alireza, who are franchisees for nearly 100 McDonald’s restaurants in the western and southern regions of Saudi Arabia. McDonald’s did not disclose the financial terms of the deal. Reuters reported in October that McDonald’s was nearing a deal worth up to $400 million to franchise the outlets to Reza group, which also owns and operates McDonald’s outlets in the western and southern regions of Saudi Arabia. The Lionhorn deal is in line with McDonald’s plans to bring in partners in Asia as it switches to a less capital-intensive franchise model. The company said it has now franchised about 1,300 outlets as a part of its target to become 95 per cent franchised by the end of 2018.